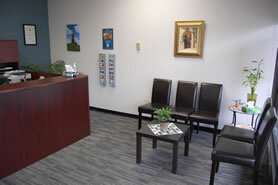 The mission of Cruzado Dentures is to provide the highest quality precision work and the best customer service. Our goal is to provide quality removable prosthetics. We, at Cruzado Dentures, make a pledge to our valued patients that their concerns will be heard and considered. All work is guaranteed to be completed efficiently and promptly. We provide denture services and products with professional quality that meet the standards of the College of Denturists of Ontario. If dental woes are keeping you (or someone you love) from enjoying life to the fullest, a denturist can bring about a positive transformation with a new smile. Denturist Archy Cruzado, who was both an artist and a dental technician before training as a denturist, brings a tremendous focus on restoring your natural confidence, comfort and appearance in his work at Cruzado Dentures. Options for dentures and denture wearers have grown enormously in recent years, as a new, niche market for custom dentures has developed. 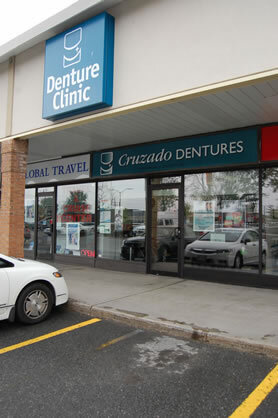 Trained at George Brown College in Toronto, Archy Cruzado opened his clinic at Greenbank Hunt Club Centre in order to offer highly specialized denture services to residents across the city while being close to home. 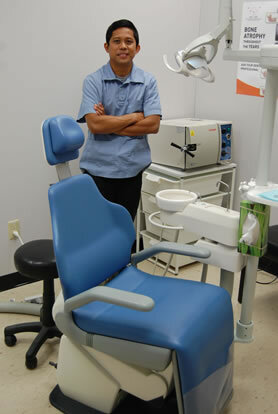 In 2012 his wife, Annie, joined him in the business full time and a dental technician rounds out the team. His tremendous success has expanded his reach, bringing referrals for new clients from out of town, and making Cruzado Dentures a popular destination. Parents to four young children, Archy and Annie are particularly pleased to be running such a successful practice where they live. In the past, individuals in need of dentures would always see their dentist, who in turn worked with an off-site lab to offer plates and dentures. A full service denturist clinic like Cruzado Dentures is able to specialize exclusively in the measure, design, construction, fitting and adjusting of custom dentures, making for a service that is exceptionally personalized. Because all of these stages are handled on-site at the denturist's office, the process is also remarkably quick, resulting in dentures with the most comfortable bite and fit, and improved aesthetic appeal. At the same time, a good denturist is able to keep your overall dental health in mind, making referrals to a dentist if required. While partial plates continue to be popular and cost effective, a growing number of clients are opting for dental implants, whose permanence makes for a superior fit and enhances quality of life. In these instances, Cruzado Dentures partners with a specialist dental surgeon, who implants the posts, and Archy handles the prosthetics. For anyone who has known first-hand the way that life can be affected when you lack confidence and comfort, the promise of a solution from a skilled practitioner is acutely welcome. At Archy Cruzado's office, you know you're in the hands of someone who wants the end result to be the absolute best it can be. A work of art, in fact.